Caravan, camping site within easy walking distance of town's facilities. Modern toilet/shower block. Disabled toilet available. River Arrow runs through site and we are next to the recreation ground. Caravans, Tents & Motorhomes. Charges £8 per adult per night. Children £4.50. Electric £3. Join us on our hill farm within half an hour of Kington and Hay-on-Wye, less than two miles from Offa's Dyke Path. Great views and modern facilities. Choose one of three cosy camping pods, each with heating and electric, sleeping up to 5 people. Open Easter to late October. Disabled facilities available. Charges £40 - £50 per night. 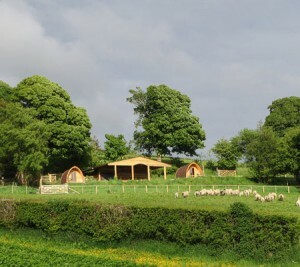 A 10 acre glamping site with 360 degree views of the valley. We have 4 yurts, each with a wood burning stove, outdoor fire and cooking facilities. There is also a communal kitchen and toilet/shower block. 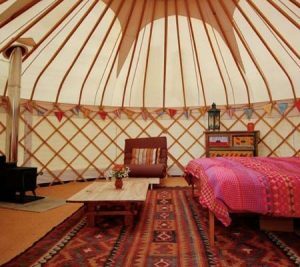 Each yurt has a double bed and 2 single beds and bedding is provided. We are 1 mile from the Gladestry section of the Offa’s Dyke Path. Well behaved dogs are welcome. 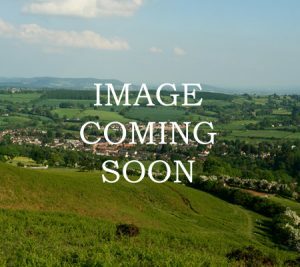 Small friendly farm site close to Offa's Dyke. One pub close by. Caravan available. 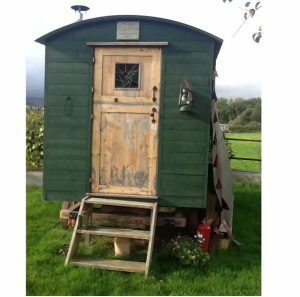 Our fully equipped shepherds hut with a canopy attached for alfresco dining, the toilet block is a short hop, skip and a jump away. Level entry to toilet block with no steps but the doors are not wide entry. It has a little wood burner in it for extra warmth. Tents with electric £15, without electric £12. Caravan with electric £15, without electric £14. Motorhome with electric £15, without electric £14. Shepherds Hut £45 per night, 3 nights £110.